You are here: Home / Beauty & Style / Eye Care / How Do Opticians Assess The Health Of Your Eyes? 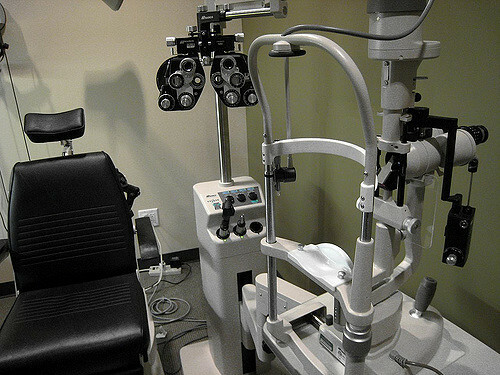 An eye exam is carried out using the services of an optometrist. It takes anywhere between 20 to 30 minutes. If extra tests are needed, it can even take longer. Besides testing the sight, the optometrist checks for eye health as well as general medical issues. At the commencement of an eye examination, the optometrist checks the reason why the health of the eyes is being assessed. This means he or she will ascertain if it is a routine check-up or there is a specific reason for consultation. If a problem is experienced with the eyes or the vision, the eye doctor will need to know the nature of the symptoms, their frequency, intensity and duration and whether changes have taken place slowly or across a period of time. The eye doctor will also need to be clear about the general health conditions of the patient. This includes medication which is taken on a regular basis, your medical history, and any close relations or family having a vision or ocular problems. The doctor will also ask about any previous prescription for glasses or contact lenses. Additionally, the optometrist will check about the nature of your occupations and your recreational interests, sports activities and hobbies. The eyes will be examined on the inside as well as the outside. This permits the optometrist to check the health of the eyes and identify the underlying medical problems. The eye’s interior will be examined employing a special torch called ophthalmoscope which shines the light on the human pupil. This permits a comprehensive assessment of internal structures. The pupil reflexes will be tested. Many eye doctors offer extra tests, such as photos of the interior and external portions of the eye, for which additional charge may be incurred. Extra tests are also required for contact lens fitting and check ups. The nature of your vision involves the basis of the examination. The glasses or contact lenses with which eye examination is attended are important. Vision will be measured with and without glasses or lenses to check for issues with the vision. The eye doctor will assess distance vision for television and driving and the near vision for activities like reading and close work. Intermediate vision is tested for activities like testing computer use. The eye doctor will then carry out series of tests to assess the type and extent of any issue with vision. The choice will have to be made about different lenses to see which help in improving visual quality and clarity. The doctor checks regarding eye and vision problems. The patient will also have to detail when the eye or vision related symptoms took hold, The patient history will include medications taken, work and eye related environmental conditions. Previous eye conditions experienced by family members is also important. This involves the use of reading eye charts. Visual acuity measurements assess the clarity with which the eye is seeing. Reading charts are used to measure visual acuity. As a testing condition, you will have to read charts on distance and near paths. Visual acuity testing results are written as a fraction such as 20/40. The upper number is the standard distance at which testing is carried out (this is always 20 feet). The lower number is the smallest letter size one is able to read. The person with 20/40 visual acuity will have to be within 20 feet to see a letter clear at 40 feet! Normal distance visual acuity is 20/20. 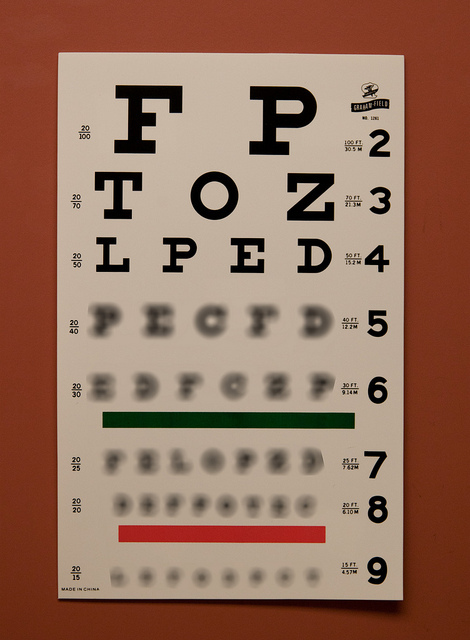 The eye chart is called a Snellen chart. A screen with alphabets, numbers, and sentences may also be used. The eye doctor will want to check out specific aspects of visual functioning and eye health. Basic tests include evaluations of color vision, muscular movements, depth perception, peripheral or side vision and the manner pupils answer to light. The tests will be conducted after numbing drops are placed and your doctor measures eye pressure. The doctor checks the eye health and makes it easy to use several lights to evaluate the external and internal part of the eye. Dilation of the eye with eyedrops may be done to make this easier. A section of the examination such as taking the medical history and the preliminary eye test will be carried out by an assistant possibly. Different tests may be carried out during the eye examination. Tests are designed to check vision and examine the function and appearance of different parts of the eye. This test is for the purpose of evaluating the muscles controlling the eye movement. The eye doctor watches movements as moving objects are followed, such as pens and small light sources with the eyes. What is looked for in this test? Poor muscle strength, control or coordination in sum. For testing this, a computerized refractor may be used. A technique called retinoscopy can also work here. The doctor shines the light onto the eyes and measurement of the refractive error or the angle at which light bends, is assessed by studying the light movement reflected by the retina through the pupil. This refraction assessment is generally fine-tuned through the use of a mask like device that contains different lenses or horopters. The combination of lenses that provide the sharpest vision is judged. For this, there are many different tests. The visual field is the complete extent of what can be seen in the sides without moving the eyes. This determines if there will be difficulty in the overall field of sight. In the confrontation test, the doctor sits ahead of you and asks for covering an eye. Every time his/her hand moves into view, you look straight ahead and inform the doctor regarding this each time. A tangent screen test is when you are a short distance from the screen and focus on the center target. When an object moves away or towards your peripheral vision, you alert the doctor. Automated perimeter test is when a screen with blinking lights are looked on, the button is pressed every time blinking is done. Based on the response in one or more tests, the eye doctor determines the vision fullness. If certain areas are not seen, the pattern of vision loss can be used to diagnose eye conditions. Poor color vision is something you may not be aware of. The difficulty in differentiating certain colors ensures that vision must be screened for color deficiency. For this, numerous dot patterns of different colors are shown. If there is a lack of color deficiency, other patterns may be observed within the dots. 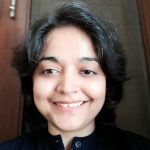 Doctors may also use different tests. A slit lamp is a microscope involves in magnification and illumination ahead of the eye with a light intensity. The doctor uses the device to study the eyelids, eyelashes, cornea, iris, lens and fluid chamber between the cornea and iris. A dye may be used known as fluorescein to color the tears of the film over the eye. This reveals damaged cells ahead of the eye. The tears wash the dye from the eye’s surface fairly rapidly. This is also known as the examination of the retina or funduscopy. This permits the doctor to evaluate the back of the eye including the retina, the optic disk and the underlying blood vessel layer that nourish the retina or choroid. Before these structures are seen, eyedrops may be applied to keep pupils from not dilating. During the exam, the assessed patient may lie supine, recline or sit up. The inside of the eye will be examined with the condensing lens and a massive light shining onto your optical organs. This exam helps the doctor see your eye in intricate detail and different dimensions. This measures the force needed to flatten a segment of the cornea. The doctor is given an eyedrop with fluorescein, used in slit lamp tests. The eyedrops containing anesthetic will also be applied. The test will therefore not hurt you. The tonometer and the slit lamp is used to touch the cornea and assess the pressure of the eye. In this method, a puff of air estimates the pressure in the eye. No other instruments touch the eye so anesthetic is not required. A brief pulse of air may be experienced, which can startle you. Pachometers may be used if eye pressure is more or optic nerve is unusual. This uses sound waves to measure corneal thickness. The common way is to put an anesthetic drop in the eye and place a small probe contacting the front of the eye. This measurement takes just a few seconds of time. Specialized tests may also be needed based on medical history, age, and risk of eye disease. This test measures the cornea curvature which is the clear outer surface of the eye. This involves focusing a circle of light on the cornea and measuring the reflection. This is critical in assessing the right fit for contact lenses. This determines the lens power needed to compensate for refractive error namely nearsightedness, farsightedness and astigmatism. An instrument called the horopter is used. Through this, the optometrist places lenses in a series in front f the eyes. The lenses focus light using an instrument known as the retinoscope. This is a handheld instrument. The doctor has to choose an instrument that evaluates the power of the eye to focus. The lens power undergoes refinement based on the input on the lenses providing clarity of vision. Testing can be carried out in the absence of eye drops to assess how eyes respond under normal vision conditions. The optometrist uses eye drops with patients who do not provide verbal responses or the eye’s focusing power is hidden. The drops keep the eye from changing focus at the time of testing. To observe a single, clear image, eyes must effectively make the change in focus and move and work in unity. An assessment of ocular motility, accommodation, and binocular vision assesses the ease with which eyes focus, move and function together. This testing looks for what keeps eyes from focusing effectively or making the use of both eyes difficult. The optometrist checks additional tests on the basis of previous ones. These confirm or rule out problems and provide an in-depth assessment. 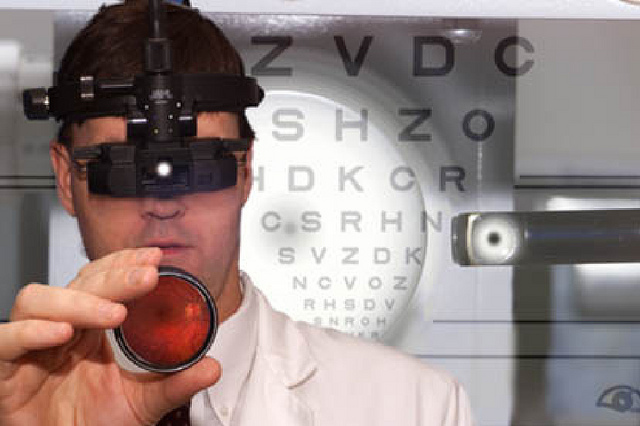 Towards the close of the examination, the optometrist evaluates test results to diagnose the problem. The eye doctor checks regarding visual or ocular health problems and discussing treatment options. In certain cases, an optometrist may refer to another optometrist or healthcare provider for treatment or consultation. Extra testing may be required on an immediate basis based on the results of the previous test to confirm or rule out possible issues. It also works to clarity findings which are previously ambiguous. An in-depth assessment is provided. 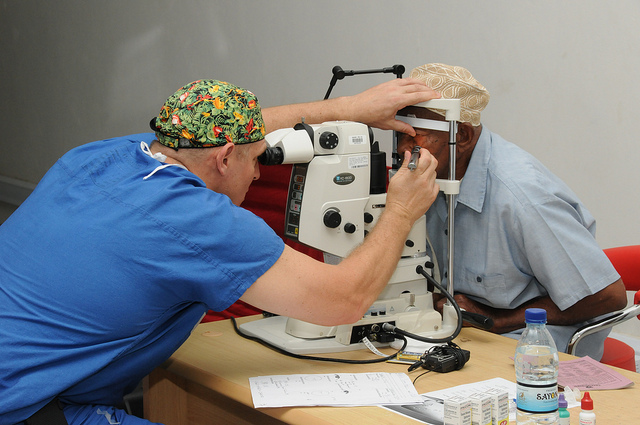 Towards the close of the examination, the optometrist assesses and evaluates testing results to determine diagnosis and develop a treatment plan. The nature of the visual or eye health problems may be diagnosed. and available treatment options discussed. Consultation and treatment by another eye doctor or health care practitioner may be indicated. Ask for additional information or explanations too. Eye movement and coordination ensure both eyes work together and excess stress is straining eye muscles. Good muscle balance is essential for using computers or reading a lot. Once the optometrist has detailed knowledge of eye health, standards of vision and special requirements of a person may be considered. The best form of vision correction to suit individual lifestyle and needs is also important. Towards the close of the examination, a prescription for contact lenses or glasses or an assessment of healthy eyesight may be given. If medical treatment is needed for the eye conditions, referral to a doctor or hospital may be made. When the prescription is made, help is given in choice of glasses and contact lenses. If the eye doctor prescribes lenses, he/she can provide complete information regarding the same. How to look after and clean the lens will form an important part of your education as well. Contact the practitioner in the event of any discomfort with lenses or glasses. Be careful about buying glasses or contact lenses at a different unit from where eyes were tested; this is because in the case of adjustments in prescriptions, sorting out the problem may be tough. Make sure eye health is not compromised. After all, health is wealth!